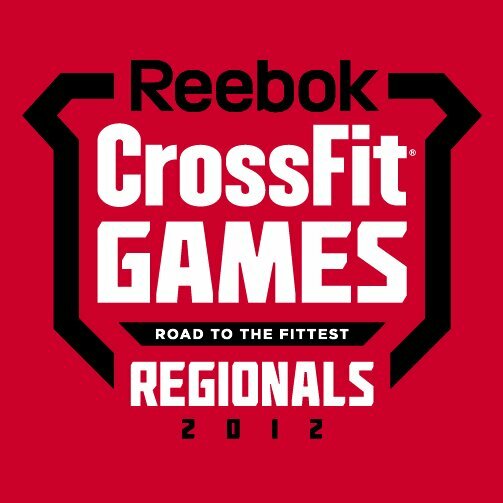 It's Week 1 of the CrossFit Games Regionals. 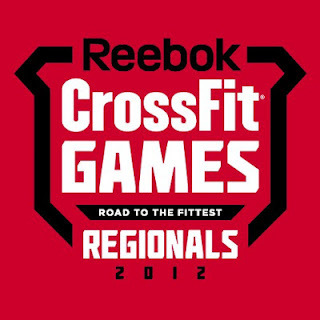 Two regions in the US and one in Canada are going first, and next week, Asia will be doing the regional workouts next week. Aaannndddd... the Philippines makes CrossFit history this year because our very own Coach Pau qualified for the Regionals! 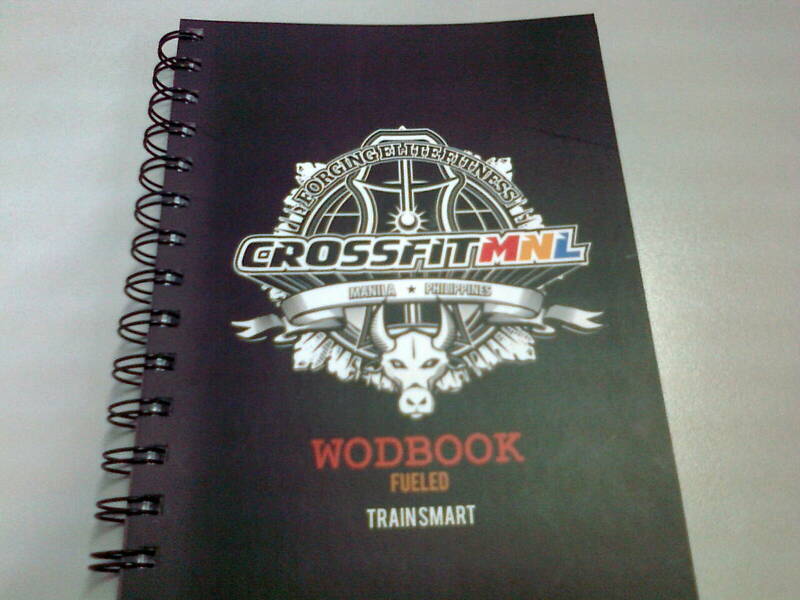 Exciting times for CrossFit MNL. 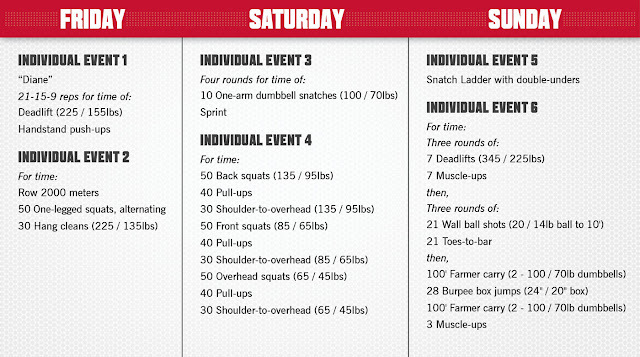 I checked out the workouts on the website. As expected, they look grueling. 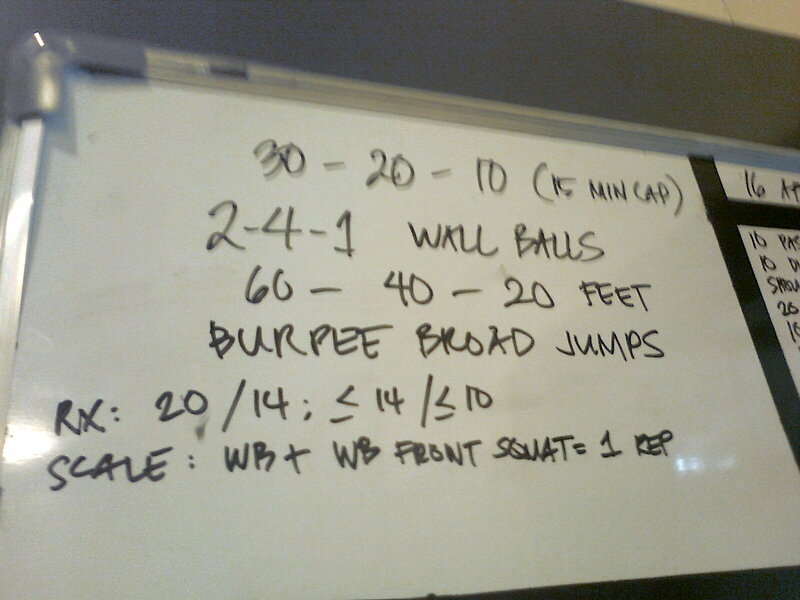 A strength WOD, finally! And we got to do my favorite lift: the dead lift! 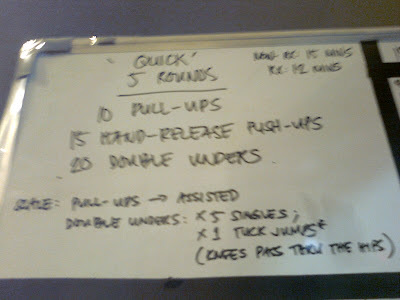 We did 3 sets of 5 reps for warm up, then for the WOD we did sets of 5-5-3-3-1 working up to our 1RM. My weights: 75#, 95#, 115#, 135#, 155#. 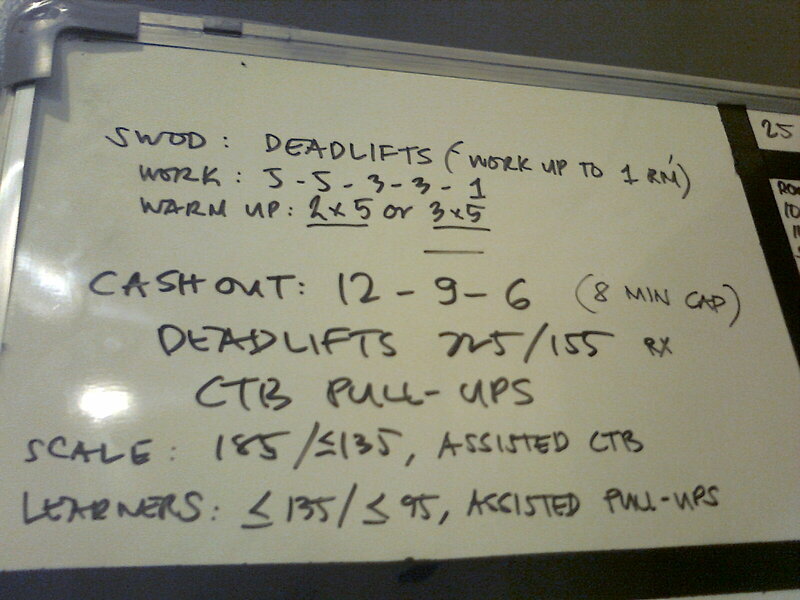 I did 115# for the dead lifts and used the green band for the pull ups. My time: 3:16. A journal for me to keep track of my workouts! Post-challenge Day 37 + Apr 20 WOD: Fran! I've said it before, and I'll say it again: I could live on singkamas forever! That, and chocolate. I could be as paleo as I like, but I cannot live without chocolate. What's a great way to end the week? Do Fran!!! To a newbie like me, I didn't get what the fuss is all about. 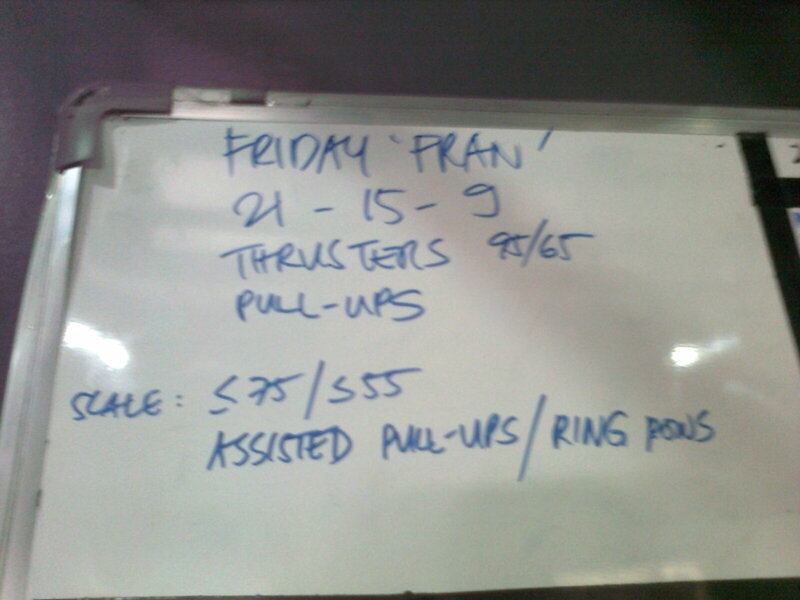 Fran is a simple couplet WOD -- thrusters and pull ups. I thought Josh would be tougher. But why do CrossFitters fret when they find out they're doing her? I guess I finally found my answer today. 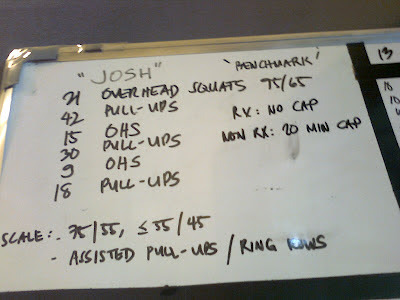 And if there's one thing I've learned from 4 months of doing CrossFit, it's that you should never, never, (one more time) never underestimate the WOD. I was wiped after doing Fran. I don't know why, but I found her to be more brutal than Josh. Anyway, I wanted to use a 35 lb bar for the thrusters but somehow Tere and Jordan convinced me to do 45 lbs instead. And of course, I used the green band for the pull ups. My time: 8:00. I think I've finally gotten the hang of doing pull ups. I was able to do 21 unbroken! I'm a beast! A teeny tiny baby beast! Meow! Yesterday would've been a perfectly paleo day had it not been for the Royce chocolate boxes I saw sitting in the fridge. They are sooo good though. I don't think I'll ever regret eating excellent chocolate. It's always worth it. But I have to say, I got a tummy ache about 20 mins after eating the chocolate. I used the green band for the pull ups, and did 100 single unders instead of 20 DUs or tuck jumps. Before starting, I'd briefly considered doing the tuck jumps, but I remembered one WOD where we did tuck jumps and they absolutely drained me. My time: 11:00. Today's coach, Jordan, remarked that using the green band for pull ups doesn't seem challenging for me anymore, and suggested that I move up to using the blue or purple band. Hmm. I'll practice using it first. Tere and I continued working on our dead lifts again, and I think we've found our 1RM (1 rep max): 150# (!!!). I think she could've gone heavier, but that was probably the limit for me. Again, yesterday I did the faileo diet. Hence, no post about my meals because it just makes me feel bad. But in other food-related news, an aunt is arriving from the US at the end of the month and I'm planning to order the donut maker I've been eyeing on Amazon. So excited to make paleo donuts! For the 2-4-1 wall balls, you bounce the ball off the wall and do an extra squat before catching the ball. I tried it out but maybe I'm just too uncoordinated to do it so I scaled down. But I used a 10# ball so I wouldn't feel too bad about scaling. For the burpee broad jumps, we had to do a burpee first then leap forward until we do 60 feet (3 laps across the box). My time: 11:10. After the workout, Tere and I worked on our jump ropes then our dead lifts. My dead lift PR last year was 125#. But this morning we worked up until 135#! I think I could do a teensy bit more though, because I was able to lift it 3 times. So maybe my 1RM now is around 140#. On second thought, let's forget about today's meals. All I want to say is that it wasn't a clean day. At all. I tried to be as paleo as possible, but in the evening I went to a party. Although I didn't eat rice, I did have dessert. Oh, and before going to the party I had a scoop of cookie dough ice cream (which I don't regret at all). I went to the box with a friend who wanted to do the trial. Trial class on Saturdays is at 2:30 pm so we had to be there a bit earlier. Watching the trial class made me think of my trial session. I'm quite sure they'd all be getting to know DOMS pretty well tomorrow. Before the workout, Miggy was telling us to go heavy because it's only 3 reps. Uh, yes, but it's a 30 min AMRAP so no, thanks. Ladies' Rx for the clusters (coz aren't they clusters?) was 95; I used a 45 lb bar. My score: 14 rounds. It wouldn't have been so bad had it not been for the intense heat and humidity. That's probably why the "sprint" turned into a jog for a lot of us. After WOD-ing, a few of us went to Reebok Eastwood to check if they already had the CrossFit Nanos. We were disappointed to find out that they won't be available till May or June. Bummer. Nice to meet you, Josh! I used a 35 lb bar for the OHS and the ever-reliable green band for the pull ups. That's a lot of gosh-darned pull ups there. My time: 9:01. The coaches probably thought that 35 lbs was too light for me and Miggy thought that I could probably increase my OHS weight so I tried using Lala's 55 lb bar but I couldn't stabilize it. Maybe a 45 lb bar would've been better. Till next time, Josh! Yesterday was a big fat faileo diet day. My father celebrated his 80th birthday, and in the morning some of his friends came and prepared a surprise breakfast for him. They brought lots of cake, native bread products, coffee, and dinuguan (everybody loves this stuff but I can't eat it because the thought of eating pork with pig's blood is just... I can't). In the evening, there was a big party and again, lots of faileo food there. My biggest transgression was eating chocolate cake and buko pandan salad. When we came home, my sisters decided to have some slices of this very special crepe cake that we received. Man, I need to get back on track! I've gotten lazy about preparing my meals. Need to do something about it quick. I almost didn't go to the box today out of laziness. But I forced myself to go because I knew I'd regret not working out if I didn't. I guess a lot of people had missed WOD-ing too, because the box was full! 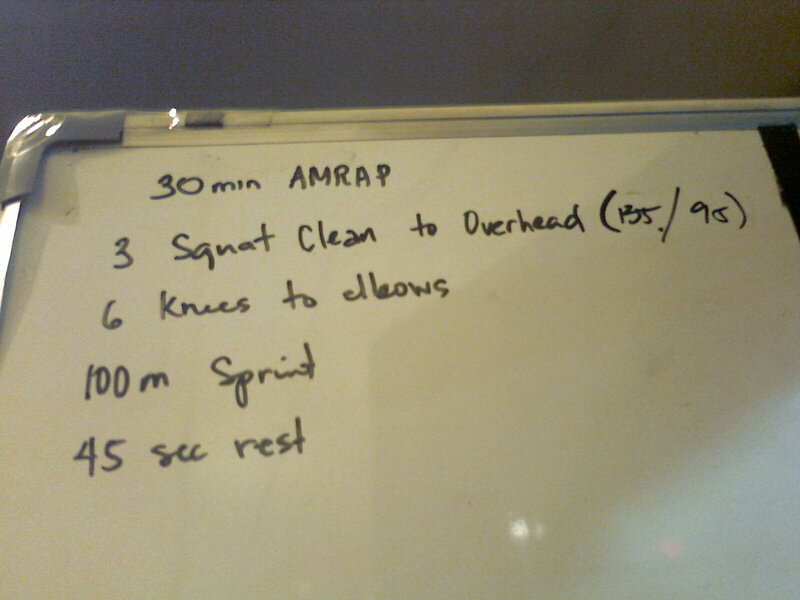 Today's WOD was fun, though. Hard as always, but fun. We were partnered up and had to do 3 different AMRAPs. At the end of the first AMRAP, my partner Gil and I were able to do a total of 144 kettlebell swings. For the second AMRAP, we were able to complete 6 rounds + 2 lateral burpees and 9 hand-release push ups (113 reps). 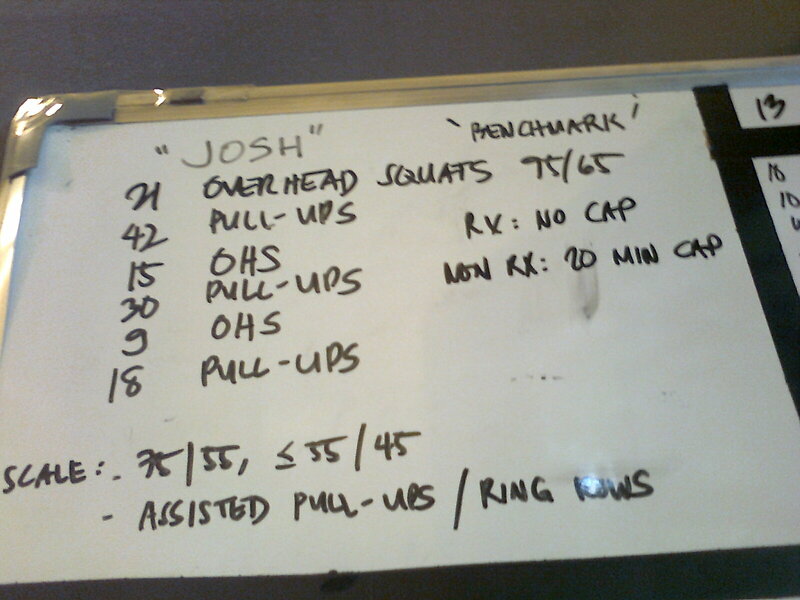 For the last AMRAP, we were able to do 9 rounds (225 reps). Our total score was 482. Not bad... I probably wouldn't have pushed myself as hard as I did if I wasn't partnered with someone I'd just met. It would've been way too embarrassing if we got a low score because of me! I feel so bad from eating all this non-paleo stuff. I've also developed itchiness on my shoulders, neck, and even my scalp. I still don't know if it's from the very hot and humid weather we've been having or if it's an allergy I've developed from eating stuff I hadn't eaten in a month. Will observe it for a week. After a gazillion years, I ran again this afternoon. It was just a short 3 km run. I've found that I get bored with running now that I do CrossFit. When I run, I find myself running faster than I used to because I want to get the workout over and done with. I think I need to rediscover the joy of running. My tummy got mad at me yesterday for having 2 pieces of non-paleo pancakes. I got an awful tummy ache, which totally made me regret having those pancakes. So this morning, even though I was very tempted to have a piece of chocolate, I stopped and reminded myself about what's going to happen if I did. I couldn't resist the lure of non-paleo pancakes this morning. I just couldn't. So I discovered a new way to eat kalabasa. Just stir-fry it and season with adobo seasoning. I got the adobo seasoning recipe from allrecipes.com and it can pretty much go with anything. It makes stuff so tasty. Finally, a day when strength is the focus! I'm guessing they programmed the SWOD today because tomorrow is a holiday, which means the WOD will probably be more challenging than usual (gulp!). 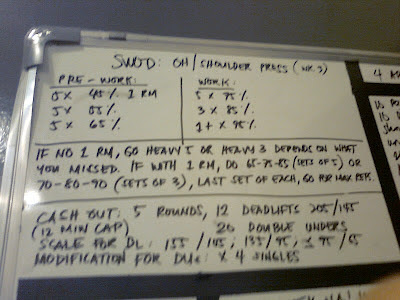 We worked on shoulder presses today and had to do 3 sets of heavy 5 reps. And for me, "heavy" was 45 lbs. What? They were strict presses -- no dipping -- so they were more difficult! 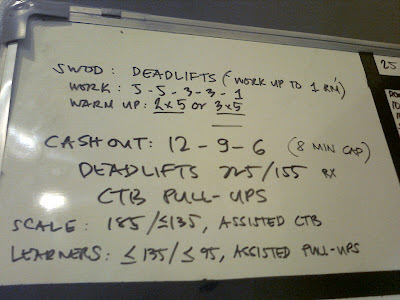 I used a 105 lb bar for the dead lifts and did 80 singles instead of 20 double unders. My time: 10:33. How great is it that I can dead lift 105 lbs for 5 sets of 12 reps?! My 1RM for dead lifts last year was 115 lbs, so I must be getting stronger! I could eat sweet potato hash for breakfast everyday. I had a late breakfast so I wasn't hungry yet when lunchtime rolled around. I'm currently reading Robb Wolf's The Paleo Solution. So far, so good. I like the funny and interesting way he writes. Homemade bacon was a success! I'd bought a few pork bacon cut slices a while ago and couldn't figure out how to turn them into bacon. Finally, our cook suggested simply rubbing salt and sugar on them after they've defrosted. So that's what I did. Once they'd defrosted, I laid them flat then rubbed salt on one side. I flipped them over then rubbed salt on the other side. Then, I rubbed coconut sugar on that side, flipped them over and rubbed sugar again on the other side. I put them back in the ref and in the morning I had them cooked like regular bacon. It was good. I must buy more bacon slices next time. We were also given a 45 second rest after each round. 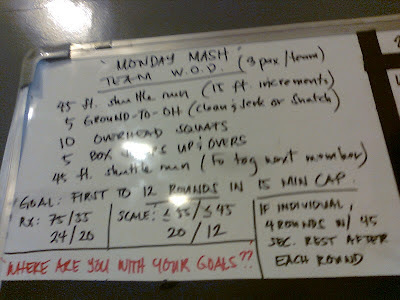 It was actually supposed to be a team WOD, but since there were only 3 of us in the class, we did it individually. I used a 45 lb bar for the ground-to-OH, and was able to use it for the OHS for a few reps but it felt wobbly so I settled for the 35 lb bar. For the box jumps, I used a 12" box. My time: 11:39. After the class, I practiced doing double unders a little bit. I also practiced kipping so that next time I'd be able to do knees-to-elbows! I also made paleo carrot cupcakes yesterday but I still can't decide if I like it. I tasted it after consuming cookie upon cookie, so of course I couldn't help but compare it to non-paleo goodies.